blog.HalloweenAdventure.com | Latest News from the Costumes Trend FrontLines! 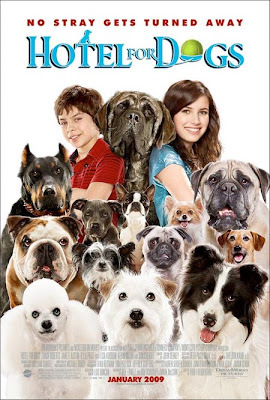 : Go see Hotel for Dogs dressed like a dog! Go see Hotel for Dogs dressed like a dog! There's nothing more fun than dressing up for a movie you've been anticipating. Grab the kids and throw them in those dog costumes you have from last Halloween and go see Hotel for Dogs. This hilarious comedy about kids who secretly take in nine stray dogs and hide them in a vacant house features Julia Roberts' niece Emma, as well as many a friendly pup! Click here to check out our fabulous animal costumes! Then, check out the movie times on Fandango.com.